Hillary graduated from the University of Ottawa with an Honours Bachelor of Health Science. She then went on to obtain her Master of Science in Physical Therapy at the University of Toronto. She is a current member of the Canadian Physiotherapy Association. Hillary has completed training in soft tissue release and manual therapy. Her practice involves the use of exercise prescription, manual therapy, soft tissue release, education, and modalities. Hillary’s lifelong involvement in athletics is what inspired her to pursue a career in physiotherapy. 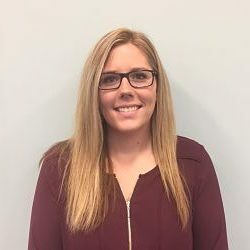 As a competitive ringette athlete, she has gained a unique appreciation for the impact that injuries can have and the importance of comprehensive and early rehabilitation to help clients return to the activities that they enjoy.